Laura Graves and Verdades Capture Another Win in the “Friday Night Stars” Grand Prix Freestyle at AGDF 3. 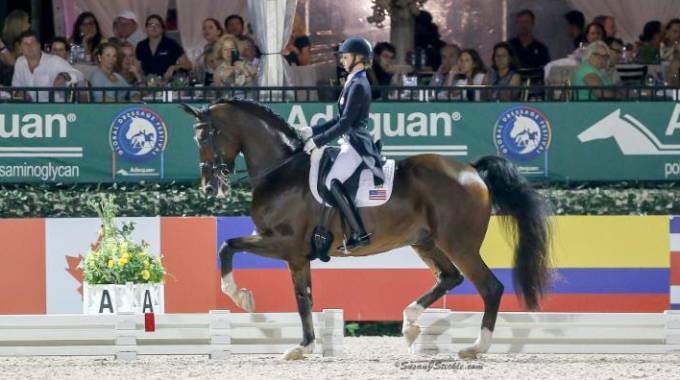 Wellington, FL, 25 January 2019 – U.S. dressage stars and currently ranked number two in the world, Laura Graves (USA) and Verdades performed a beautiful test and earned a score of 84.935% to win the FEI Grand Prix Freestyle CDI-W, presented by the U.S. P.R.E. Association on Friday, January 25, at the Adequan® Global Dressage Festival (AGDF) in Wellington, FL. Week three of AGDF will conclude on Sunday, January 27, and AGDF continues through March 31.